- Date: 04/2014, Series A: $3.5 M (post valuation: undisclosed amount). 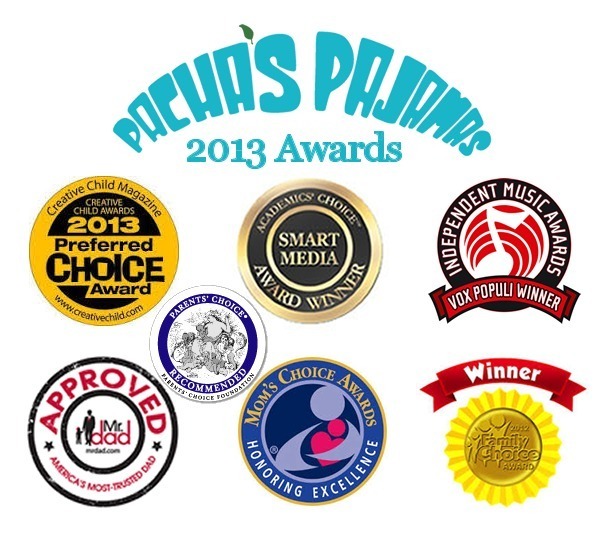 Designed to help parents and caregivers of all achievements and backgrounds make informed decisions about which new products are right for their children, the Parents' Choice Awards is the nation's oldest nonprofit program created to recognize quality children's media. 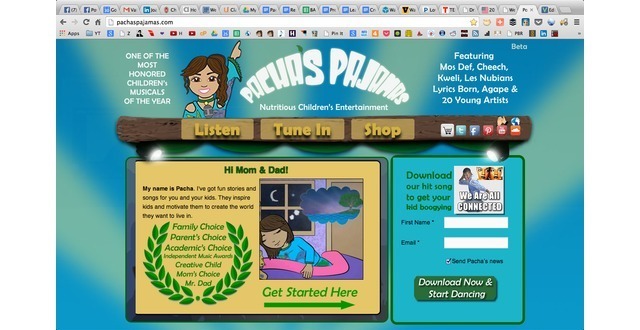 The Parents' Choice Awards program honors the best material for children: books, toys, music and storytelling, magazines, software, videogames, television and websites. Parents' Choice Foundation's panels of educators, scientists, performing artists, librarians, parents and, yes, kids themselves, identify the very best products for children of different ages and backgrounds, and of varied skill and interest levels. The Mr. Dad Seal of Approval is a visual endorsement that carries the powerful credibility of America's leading authority on successful fatherhood. The Mr. Dad Seal of Approval was created in response to fathers and families who want products and services that promise to improve family life. Earning an Independent Music Award is more than just a badge of distinction. Produced by Music Resource Group, publisher of the popular industry contact database The Musician’s Atlas/AtlasOnline, and co-sponsored by eMusic, Jango, Musicati, AMI Entertainment, IMAtv, Dropcards, CMJ Music Marathon, NACA, The Planetary Group and others, The IMAs leverage its unrivaled access to performance, promotion & distribution opportunities to place winners & nominees in front of Talent Buyers, Film, TV & Gaming Music Supervisors, Media outlets, Licensing opportunities and 1 Billion music fans. For three years, Eco Arts has sought out original artwork and interpretations of the meaning of ecology, with a desire to see and hear how humanity treats each other. Our search was driven by the correlation of art to the overall health and well-being of our home, planet Earth. The Family Choice Awards recognizes the best products, services and resources for all members of a family including our cherished pets. This awards program, now in its 19th year, is one of the most coveted, family friendly consumer awards program in the nation. Creative Child Magazine's Awards Program is unique in that all products submitted are reviewed by moms, music educators and early education professionals. Products are not reviewed by any one person. They are reviewed by many people-the very people who purchase them. The Mom’s Choice Awards® (MCA) evaluates products and services created for children and families. The program is globally recognized for establishing the benchmark of excellence in family-friendly media, products and services. The organization is based in the United States and has reviewed thousands of entries from more than 40 countries. The Academics' Choice Media Awards celebrate mind-building product excellence, judged by people just like you, teachers, parents, homeschoolers, students, children, and a panel of highly qualified academics. Look for the Academics' Choice seal of excellence before making your next purchase - it’s like shopping with your favorite teacher. [Interview] Mos Def and Talib Kweli Make Beats for Environmental Children’s Book and Album! Balance tells a deep and important, but fun and accessible story to young people about how they can get involved to help us all create a resilient response to climate change and other problems in our world. They have been at it a long time and the story has evolved well. BALANCE, Inc. is a provider of childhood entertainment products that parents can feel good about. BALANCE’s focus is television, apparel, film, web/mobile and books for pre-teens, a market of over $130B/year in the U.S. alone. BALANCE is raising funds to prepare its Pacha's Pajamas brand for a television deal with a major U.S. network. BALANCE, Inc. is an Entertainment Technology firm specializing in childhood entertainment products that parents can feel good about. BALANCE’s focus is television, apparel, film, web/mobile and books for pre-teens. The total children’s entertainment market is $98B/year in the U.S. alone. Based on its proof-of-concept, BALANCE is raising $3.5 million to execute its strategic plan, thereby leveraging its existing assets (i.e., book, music) to build an audience and secure a television deal with a major U.S. network. BALANCE has attached highly successful animation professionals including Ralph Guggenheim, co-founder with Steve Jobs at Pixar and Arne Wong, the first Director of Dora the Explorer (a series which has earned over $15B). Parents want to feel good about the entertainment that their children consume. Most of the time, they don’t. The mega-trend of social and environmental awareness has created a large and growing segment of U.S. residents (~20%) who want entertainment that expresses a transformative worldview. This segment is likely to double this decade. BALANCE produces children’s entertainment that supports the healthy development of today’s children. For example, the Company eschews the gratuitous violence that is endemic in television aired during the time children are mostly to be watching. All the Company’s brands and products have a common thread—a “Hero’s Journey” meta-narrative for humanity in which positive change overcomes inertia. The company’s stories are designed to encourage children to create the world they want to live in. The opportunity to exploit the mega-trend is greater than ever because of cultural/technology trends that are taking youth out of alignment with the mega-trend and the leading children’s entertainment firms. For the first time ever, today's children are growing up as digital natives with unprecedented access to digital media through an ever increasing variety of devices. Children now average seven mind-numbing hours of screen time per day. Most of what the leading children’s entertainment firms offer is vapid, if not violent, misogynistic, sexualizing childhood or promoting drug use. The American Academy of Pediatrics has repeatedly stated that such content can be detrimental to a child's healthy development. In addition, the last decade has seen dramatic shift in children's values towards fame, popularity, image, and money as the majority of top ten shows for tweens are about teenagers who have achieved fame with careers in entertainment. Yet today's parents are finding it virtually impossible to limit their child's access to unhealthy media. And parents are increasingly frustrated with the lack of age-appropriate and culturally relevant children's entertainment options that are in alignment with their values. Now it the time! BALANCE’s primary focus for Year 1 is securing an animated television deal for Pacha’s Pajamas, the story of a little girl whose magical pajamas whisk her away to imaginary worlds where she discovers who she truly is. With Pacha’s Pajamas, the Company is following in the footsteps of the many animated films and TV series that derive their brand from children’s stories such as the Lorax, the Care Bears, Teenage Mutant Ninja Turtles, and most superheroes. 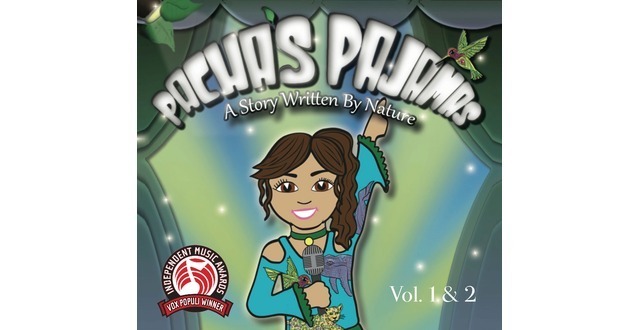 In 2013, the Company did an Award Consideration Only release of its double album entitled Pacha’s Pajamas: A Story Written By Nature, and received 8 awards including People’s Choice for Best Children’s Music in the 12th Annual Independent Music Awards. Pacha and her pajamas share a secret that she won’t even tell her mom, dad or pesky little brother. Something truly magical happens to Pacha at night. Her pajamas whisk her away to imaginary worlds where she parties with rock stars made of stone, dances with the stars, and even “goes bananas” - with the bananas of course. In each dream adventure, she discovers a whole new world within herself. 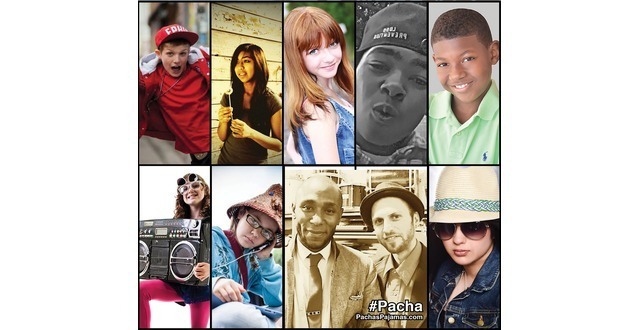 The next day, Pacha uses what she learns to bring her dreams to life. Pacha is a young girl with an imagination bigger than the Andes Mountains, homeland of her ancestors. After a stress-induced asthma attack, her hand-woven pajamas carry her into an epic dream where she's the central player at a nature festival. Full of musical plants and dancing animals, the event is a worldwide call-to-action to save the planet from destruction. Through the dream experience, Pacha awakens with the skills needed to stay healthy and better understand who she truly is to her waking life. Award-Winning Songwriter, Musician and Author. Expert on Entertainment & Children's Education. Education Consultant. Serial Innovator.